Since their origins, the Ese’Eja have relied on the resources of the forest to meet their most basic needs, including food, clothing, and medicines. Transforming organic materials such as vines, barks, roots, and seeds into objects for daily use, the Ese’Eja not only carry out their traditional foraging lifestyle, but also cope with contemporary challenges. Ese’Eja male identity is strongly related to hunting. A boy’s first kill marks his entrance into manhood. 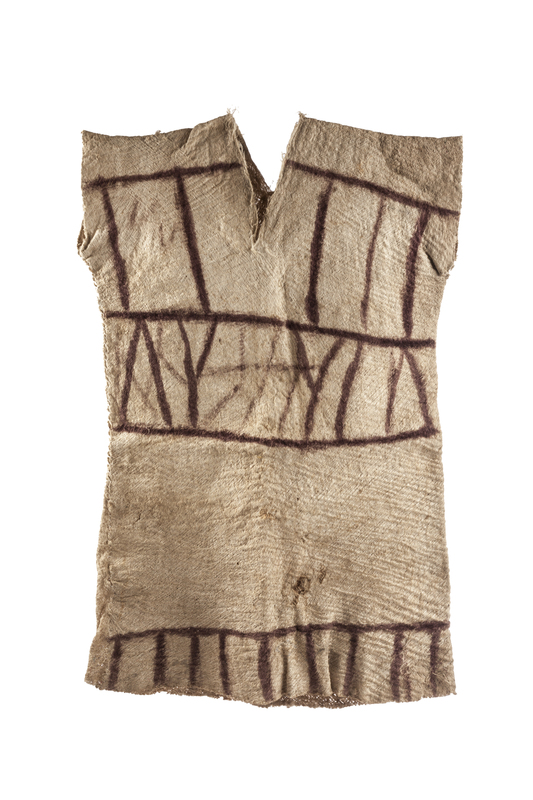 This traditional male garment, known in Ese’Eja as daki ao, is made from the bark of the Yanchama tree. It is dyed with apo’e or annatto. In the past, Ese’Eja hunters wore also necklaces featuring one tooth from each animal they killed to show their hunting prowess. Bows are known in Ese’Eja as ekowiji, and are carved from pihuayo bark; the strings are made by striping and twining siari bark. Arrows or emehe vary in size and shape depending on the intended function. Their shafts are made from the stalks of a tall grass called wesa, while arrowheads are crafted from pihuayo bark or palm wood. 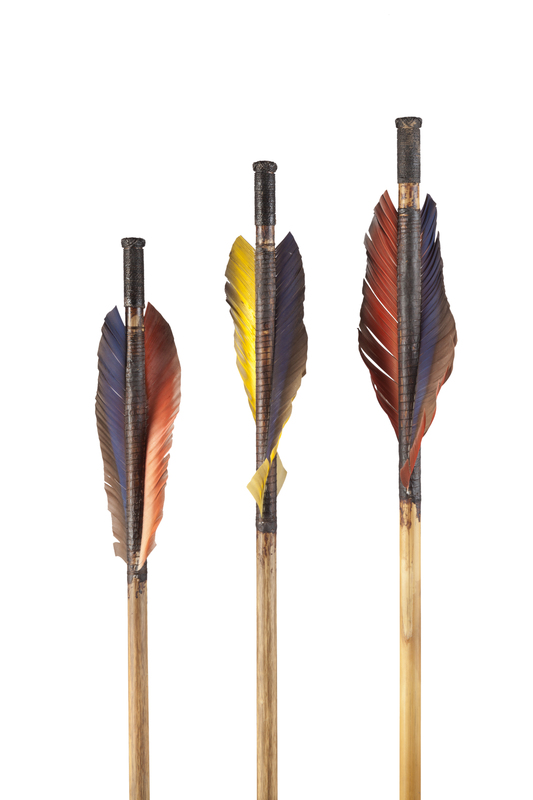 Macaw feathers are used for the fletching and are attached using two types of beeswax. The traditional Ese’Eja diet was based on plants and animals from the rainforest. After being forced to live on permanent settlements, the Ese’Eja adopted certain agricultural methods and incorporated new foods into their diet. 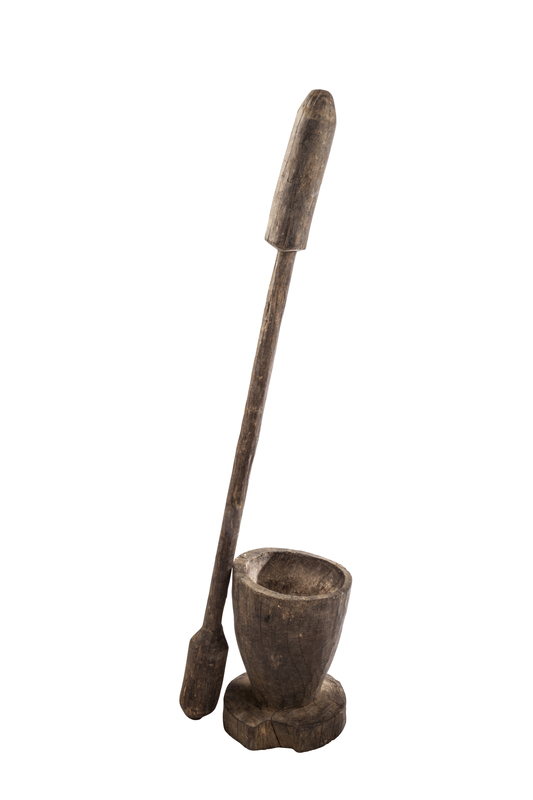 Now they use foreign kitchen items such as a mortar and pestle to remove the hulls from grains of rice, which they learned to farm from Japanese refugees who settled within the Ese’Eja ancestral lands along the shores of Lake Valencia after World War II. Ese’Eja women are extremely skilled basket weavers. They use rainforest materials such as the tamshi vines to create a variety of designs for everyday purposes. Dyes derived from roots, seeds and leaves provide a rich variety of colors. 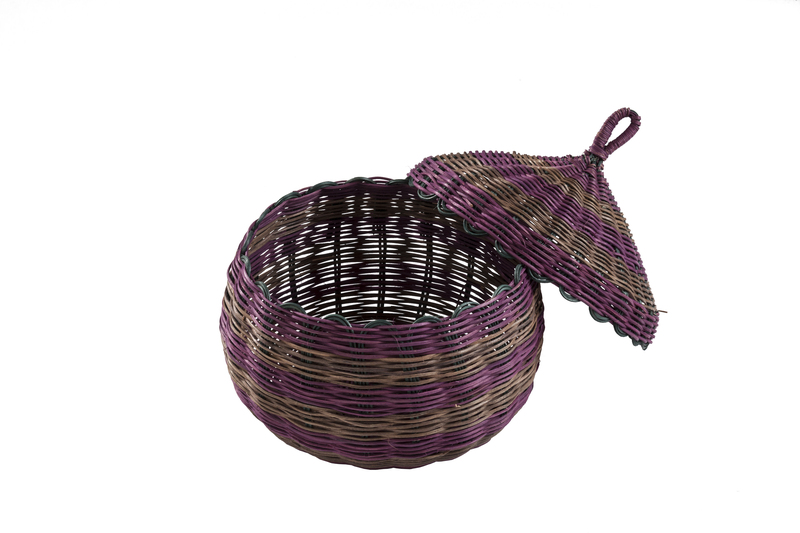 Today they not only create baskets to fulfill their own needs, but also for the open market. Manufactured materials from the outside world, such as recycled plastic bottles and synthetic dyes, are also being incorporated into Ese’Eja creations. Organized in a co-op, Ese’Eja women today create a variety of necklaces, bracelets and earrings for the market. 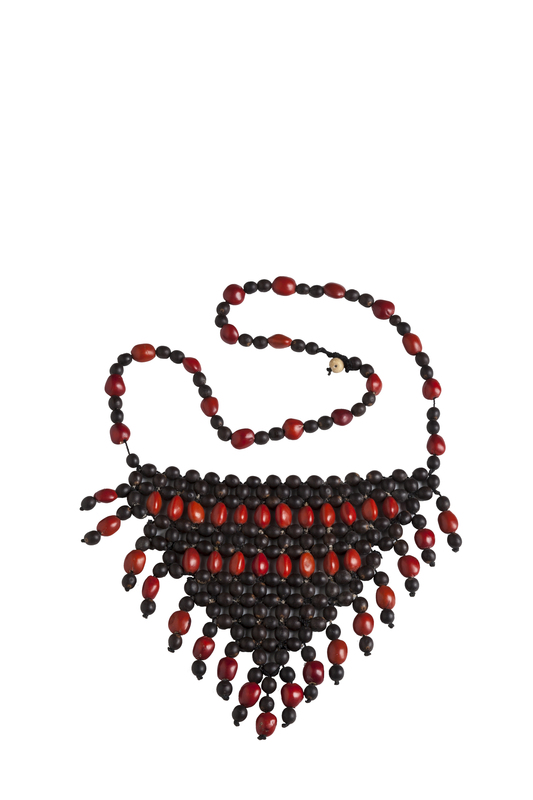 They produce innovative designs using traditional rainforest materials, such as huasai, achira and huairo seeds, macaw feathers, animal claws, armadillo scales and howler monkey teeth. Stay connected to the Ese’Eja project through their working group.